Last fall I wrote an essay about an impromptu overnighter spent on a picnic table in a park. It was called The Art of the Bivouac. The focus was on minimal gear and how little one truly needs to simply pass a night outside in relative comfort when the weather is fair. Expanding that minimalist approach extends options and increases comfort. If it had rained that night while I slumbered on the picnic table I would have had a completely different story to tell. I’m constantly tweaking my solo kit. 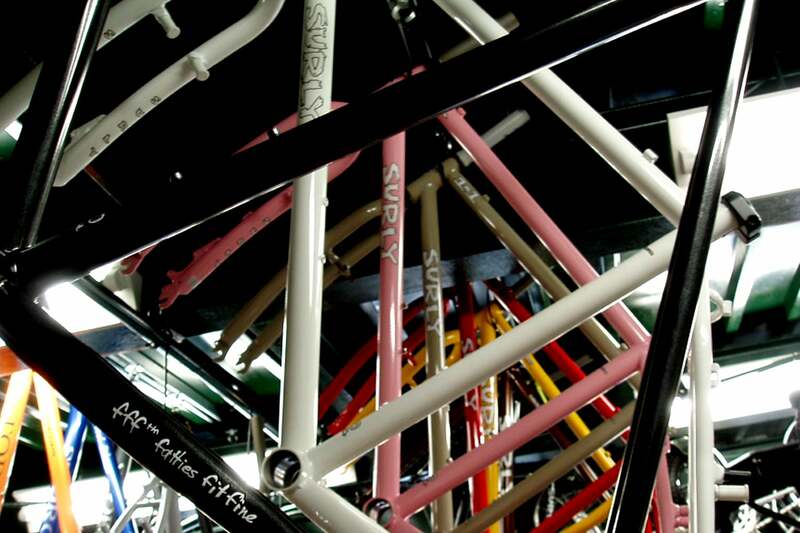 Various types of trips help shake things out. The Dorset Gravel Dash back in May (which I blogged about here) provided an opportunity for me to tune some new gear that had been on my wish list for years. My preference is to sleep on the ground. I’ve tried hammocks in the past. I have some very good friends whose opinions I sincerely respect who are diehard hammock campers. Give me a plot of flat ground though. Like my free-hanging friends I appreciate a couple of appropriately spaced trees, too. That’s so I can string up a tarp. 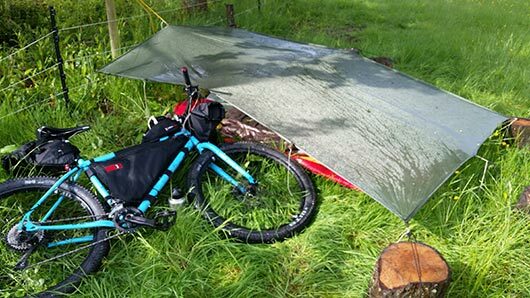 The tarp is an amazingly versatile piece of kit. It’s adaptability to various methods of pitching are unparalleled. Beyond its use as a primary shelter a tarp can be a ground cloth, a sun shade, a windscreen, or function as rain gear. It can be pulled out and set up within minutes making it a valuable thing to have for a rainy-day lunch stop. 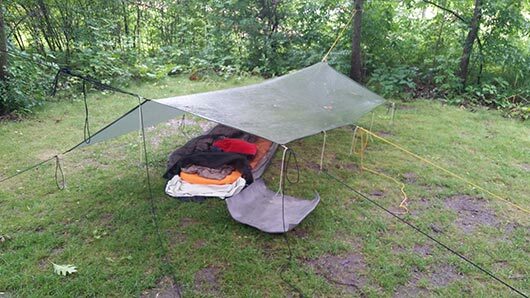 Finally, most tarps are relatively light and don’t require poles. One can always fashion those on-the-fly if needed. While tarps don’t have a floor there are ways to work around that. In fact, it can be an advantage. And while they don’t have a screened body like a tent there are ways to adapt to that as well. 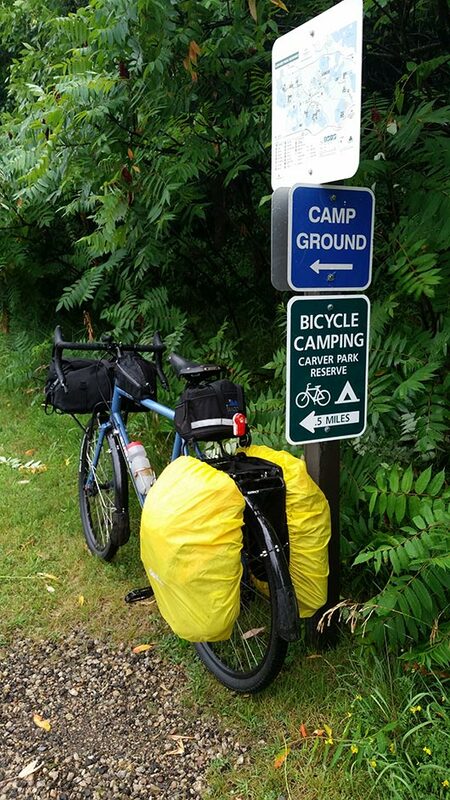 For much of the year one simply doesn’t need the added weight of a tent body. Aside from getting outside and doing, the bulk of what I know about camping has come from reading books. Many decades ago I tucked into a series of tomes by Cliff Jacobson who has written books like “Canoeing and Camping: Beyond the Basics.” During my stint with a canoe manufacturer I had the good fortune to paddle and camp with Cliff. To say he’s one of my outdoors mentors is a fair assessment. Through his writing Cliff introduced me to tarps. More or less. He certainly led me down the path of how to use tarps effectively. And he provided the seminal moment when I decided I wanted to get good at integrating tarps into my regular camping routine. A large group of us were camped along the Namekagon River in northern Wisconsin. It was raining, so a couple of folks had pitched a large tarp over our dining area. The pitch was subpar, however. When the storm intensified the large square of fabric alternately sagged and billowed dousing us with rainwater. It wasn’t cold though. Plus, we had rain gear and plenty of beer so the crowd was somewhat oblivious. We could make do. Cliff wasn’t having it. He charged into the crowd and got to work. He moved and re-tensioned anchor lines. He pulled additional lines vertically over tree branches to create a peak in the tarp. Within 15 minutes he had transformed a 20x20 feet piece of nylon from a wet flap into a taut roof. Rather than getting wetter by the minute we began to dry out under the shelter. Now, I had spent plenty of nights in the woods by that point. Some of those were wet and occasionally bordered on mildly miserable. I did a lot of backpacking in the Appalachian Mountains back then. I had built up considerable fortitude in the rain, consigning myself to either being tent bound or splashing around in soaked rain gear. Humans are resilient animals for sure. But why endure discomfort when a simple piece of gear can provide additional shelter for cooking, packing gear, or simply hanging out? I bought the tarp Cliff recommended – a 10x10 feet Tundra Tarp from Cooke Custom Sewing. They are made in Minnesota and equipped with features that put other tarps to shame. 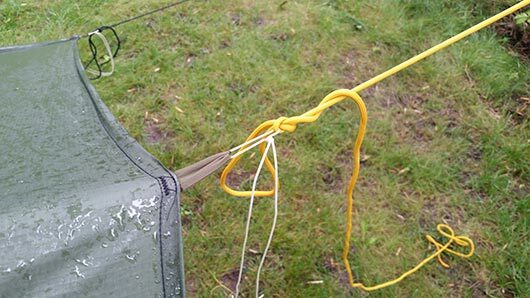 They provide anchor points along all edges as well as in the middle of the tarp. Pitching options are literally endless. I’ve used this tarp a lot. It will comfortably accommodate two people and it’s the perfect size to cover a picnic table. I’ve had no complaints whatsoever. I had been on the hunt for something smaller though. 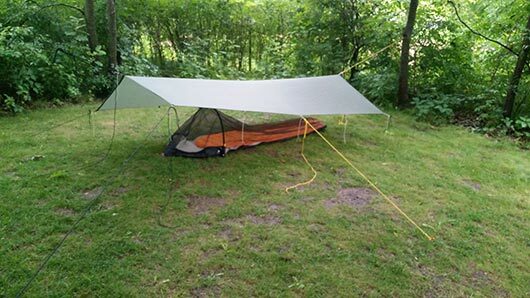 When plans solidified to attend the Dorset Gravel Dash I thought a compact tarp set-up would be ideal since it would save weight and bulk while providing optimum adaptability for whatever the weather conditions might be. Some web searching led me to a small manufacturer called Etowah Outfitters. Etowah had options aplenty. I settled on their “Bushcraft Special” 5.5x9 feet tarp. The price was almost too good to be true. I had questions. Their contact form listed a phone number. I called and was greeted by a live human voice. It turned out to be the owner, Paul. We chatted tarps and gear for at least 20 minutes. I explained my upcoming UK trip and confessed I had waited until the last minute to order new stuff. He assured me it would be no problem. 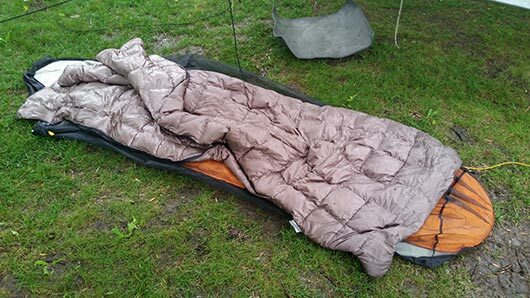 Three days later I had a new 50F down sleeping bag and a tarp at my front door. Paul is a really nice guy. His gear is fairly priced and well made. You should check it out. This new Etowah Outfitters tarp doesn’t have all the bells and whistles that the Cooke Custom has. But I chose the budget option because I was impressed with what it does offer. It’s not the lightest material out there but it is a high quality, dark green ripstop nylon. It features fabric loops around the edges rather than scantly placed grommets. It is just the right size for a solo shelter that could accommodate two in a pinch. It kept me bone dry in Dorset. On a recent Thursday night excursion I had the chance to test its weather worthiness again. Let’s talk a bit more about sleeping gear. Much like dry clothes and hot food, sleeping in comfort is the sort of thing I tend to meditate upon when I’m pedaling through a steady rain toward my campsite for the night. Although it rained steadily throughout the dark morning hours I stayed perfectly dry. I also stayed cool since unlike a tent my tarp afforded generous airflow through my mesh bug bivy. Never underestimate the weight penalty of wet gear, by the way. I weighed my wet tarp when I got home to discover it had taken on more than 50% of its dry weight (from 1.2 to 1.77lbs). If I’d used a tent I would also have had a wet tent floor in addition to the fly. While the bottom of my bug bivy was damp from the wet ground where I pitched it the wide overhang of my tarp kept it otherwise dry. While we’re briefly on the topic of tents there’s a lot you can do to improve the weather worthiness of your pitch. 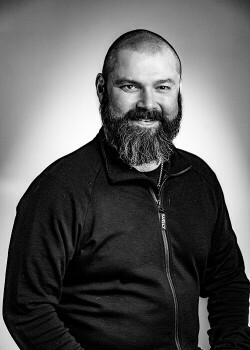 I highly recommend you consult Cliff Jacobson on the topic. Here’s a hint: The handful of stakes and cords that came stock with your tent won’t cover the bases when the weather truly goes south. The skills developed mucking about with tarps lend themselves to battening down the rest of your camp as well. Hold on … we’re “knot” done yet! Master the Trucker’s Hitch and the world is yours to secure. This knot changed my life! I’m not kidding in the least. In fact, I already knew I was going to write that before I discovered this song and music video exist. Consider it a little bonus for reading this blog. You’re welcome?